Egyptian President Mohamed Morsi met on Wednesday, August 01, with Chairman of the Department of Information in Dubai, Ahmed Abdullah Al Sheikh, at the Presidential Palace in Cairo. Al Sheikh handed Morsi a written message from UAE Vice President and Prime Minister and Ruler of Dubai Sheikh Mohammed bin Rashid Al Maktoum. Al Maktoum sent his congratulations to Morsi for winning the presidency as well as congratulations on the advent of the Holy Month of Ramadan. Ahmed Abdullah Al Sheikh stressed that Egypt’s security is part of the Gulf States’s security, which is a red line that must not be crossed. 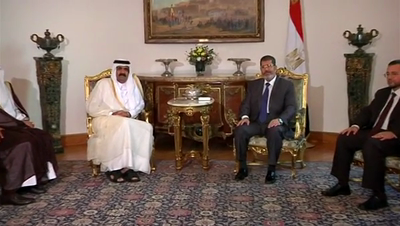 Morsi reaffirmed the strong bilateral relations between the two countries. Egyptian President Mohamed Morsi held talks on Sunday, July 29, with Omani Foreign Minister Youssef Ben Allawi in Cairo, where they discussed restoring relations between Egypt and Oman. During the meeting, which was attended by Egyptian Foreign Minister Mohamed Kamel Amr, Ben Allawi conveyed a message from Sultan Qaboos Ben Saeed of Oman congratulating him on coming to office. Ben Allawi told reporters after the meeting that the two countries intended huge investment projects and strong bilateral ties. On the other hand, Morsi held met with the Foreign Ministers of Tunisia and Libya, Ashour Ben Khayal and Rafiq Abdul Salam, where they discussed common issues related to post-revolution Egypt, Tunisia and Libya. The meeting aimed at coordinating situations between the three countries in various issues and enhancing economic cooperation between them. They also discussed cancelling entry visas among the three countries and extend the experience, if successful, to include all Arab states. 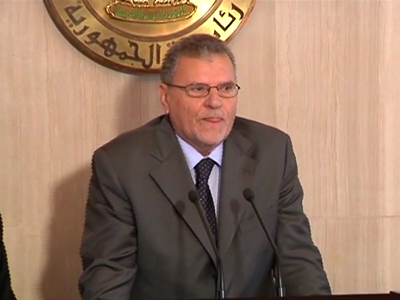 For his part, Libyan Foreign Minister Ashour Ben Khayal said that the meeting gathered leaders representing countries after the three Arab revolutions, wishing that Syria would join the three countries. Egypt’s President Mohamed Morsi decided on Tuesday, July 24, to appoint Irrigation Minister Hesham Kandil as Egypt’s new PM, assigning him with forming the new post-revolution government. Kandil is an Islamist but he is not a member of any party or group. 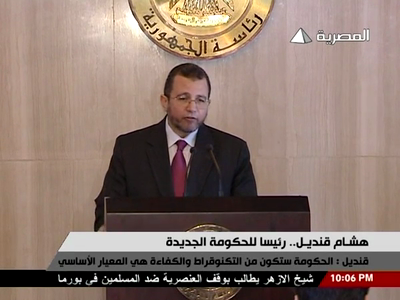 Kandil said in a press conference after his meeting with Morsi that efficiency will be the basic principle in selecting the ministers of the new government. “We affirm that efficiency is the basic criteria in selecting the new ministers. The government formation will be done in complete coordination with the President. After this press conference, we will start right away in holding discussions and consultations in order to form the government as soon as possible, in the next few days, if Almighty Allah wills.” The newly-appointed PM added that President Morsi’s 100-day plan to improve energy, traffic and security will be the focus of the new government that will be formed in a few days to come. “As for the focus of the government in the upcoming period, as you know, there is the 100-day plan of Mr. President, focusing on improving the energy, the traffic, the cleanliness, the bread and the security. According to my background, I can add the improvement of water too. We’ll focus on improving services to make the Egyptian citizens feel this improvement in the near future. That will be our main focus.” The announcement comes nearly a month after Morsi was sworn in as Egypt's first freely elected civilian president since 1952. Some liberals criticized Morsi's appointment of Kandil because he had pledged before to appoint a non-Islamist Prime Minister, but others say that Morsi only promised to pick someone from outside the Muslim Brotherhood group to lead the government. Kandil 49, is considered the youngest PM in the history of the government in Egypt. He earned his Master Degree and doctorate at the University of North Carolina and he later worked at the African Development Bank, focusing on Nile Basin countries. He was also part of an observer mission for Egypt in talks with Sudan on Nile water issues. Egyptian President Mohamed Morsi received on Wednesday, July 18, Palestinian President Mahmoud Abbas in Cairo in their first meeting since Morsi became President. “We started our talks with His Excellency by congratulating him for being elected as President of Egypt, wishing him all success,” Abbas told reporters in a press conference after the meeting. The two leaders held talks on various Palestinian issues including the Middle East peace process and the developments of the political process between the Palestinians and the Israelis. “We affirmed to him that now all doors are closed with regards to the political process (with Israel) and that we have only side communications, but the general relations and the like are still there between us and the Israeli side; we don’t want to cut them off or change them.” They also discussed the issue of inter-Palestinian reconciliation between Fatah and Hamas, which is sponsored by Egypt. 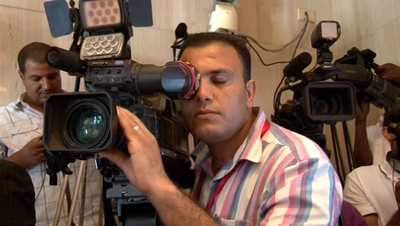 Abbas told reporters that there was delay from Hamas side with regards to holding the agreed-upon elections. Hamas officials point fingers back at Fatah and say that they suspended preparing for the elections due to the recent arrest of Hamas figures by Fatah in the West Bank. “We affirmed to His Excellency President that reconciliation for us means holding the elections. Until now, we don’t know the reasons that made Hamas delay registering the voters in the Gaza Strip, whose number is 300,000.” Abbas said that he did not ask Morsi to pressure Hamas to go on implementing the reconciliation agreement reached in Cairo. The talks between Morsi and Abbas dealt with the financial crisis the Palestinian Authority is going through; Abbas said that Saudi Arabia provided the biggest assistance in this regard. “Lifting the siege on the Gaza Strip is a national demand and we all have to work on achieving it,” Abbas said. Egypt’s president-elect, Mohamed Morsi, took a formal oath of office before Egypt’s Supreme Constitutional Court on Saturday, June 30, as the country’s first freely elected civilian president. "I swear by Almighty Allah that I will sincerely preserve the republican system, respect the constitution and the law, look after the interests of the people completely, and protect the nation's independence and the safety of its lands." Morsi addressed the Constitutional Court, noting that he respects the judiciary system and the legislative system, and that he will do his job to protect the independence of these authorities, stressing that Egypt would remain a strong country with the help of its people. 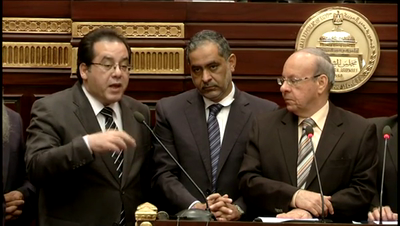 He highlighted that Egypt is a civil, constitutional and modern state. President Morsi then headed to Cairo University for his official inauguration ceremony, where he addressed the nation before former MPs of Egypt’s houses of parliament and other political figures. Head of Egypt’s Supreme Council of the Armed Forces (SCAF) Field Marshal Hussein Tantawi, Chief of Staff Sami Annan, founder of the Constitution Party Mohamed ElBaradei, Egyptian scientist and Noble Prize Laureate Ahmed Zowail and PM Kamal El-Ganzouri attended the ceremony. Morsi praised the armed forces for the critical role they played during the revolution that toppled Egypt’s former regime of Hosni Mubarak, noting that the army will return to their barracks with their original role of protecting the borders of the country. Moris said that he would work to maintain national security and protect the borders of the nation along with the armed forces. "I will do my best to preserve our national security and protect the borders of this nation along with the Armed Forces, the shield and sword of the nation." Morsi also expressed appreciation to the role played by judges, the armed forces and police officers for supervising and securing the elections process and ensuring its transparency. He pledged to both Muslims and Christians to draw up a better future for Egypt and to fulfill the goals of the revolution: freedom, social justice and dignity. 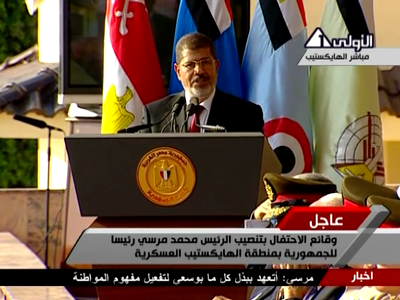 Morsi addressed families of the revolution’s victims, vowing to bring justice for the casualties and injures of the revolution. In a symbolic gesture, Morsi took an oath of office before tens of thousands of his supporters at Tahrir Square on Friday, June 29, where he delivered a speech to the nation, vowing to provide social justice and a good standard of living for all Egyptians. Members of Egypt’s Constitutional Writing Panel tasked with drafting Egypt’s new constitution held a press conference on Monday, July 16, at the Shura Council headquarters where they stressed that the panel respect the rulings of the judiciary and the rule of law as the court is set to rule on appeals challenging the legitimacy of the panel on July 17. The panel spokesman Dr Wahid Abdel Meged affirmed that the panel has a neutral position from all the country’s institutions. They highlighted that the panel is not a part in the conflict between the state authorities and is very keen to respect the court rulings. Members of the assembly affirmed earlier that the constitution panel would continue its mission by drafting a constitution and submitting it to the Egyptian people, because it is a national duty. On the other hand, all the members of the Shura Council (Egypt’s upper house of the parliament) on the constitution panel resigned from the panel on Sunday, the Middle East News Agency reported. The MPs said the reason for their resignation was to invalidate the argument of the administrative judiciary on the unconstitutionality of the panel and abort all appeals against it. Earlier on Sunday, the Presidential office said that President Mohamed Morsi ratified a Law passed on June, 11 by the now-dissolved People's Assembly (Egypt’s lower house of the parliament) to regulate the process of electing members of the constitution writing panel, a law which had been ignored by the Supreme Council of the Armed Forces (SCAF). Morsi's ratification of a law setting the criteria for electing members of the Constitution panel has granted it legal immunity. The court is expected to give its final word over the legality of the panel on Tuesday, July 17. Egyptian President Mohamed Morsi met on Saturday, August 11, with Qatar's ruling Emir, Sheik Hamad bin Khalifa al-Thani in Cairo, where they discussed the bilateral relations besides other Arab and regional issues. Qatar’s Emir stated earlier that the intent of the visit was mainly to congratulate President Morsi on winning elections and assuming office. Egypt’s Presidency Spokesman Yasser Ali said that the meeting touched upon the Qatari support for the Egyptian economy and the attraction of Arab and Qatari investments in Egypt, besides increasing the number of Egyptian laborers in Qatar, Egypt’s official state-run Middle East News Agency (MENA) reported.